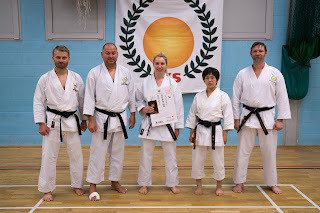 Sensei Bex was awarded her Sandan (3rd Dan) certificate last weekend from Alan Campbell Sensei Chief Instructor of JKS England and Wales. 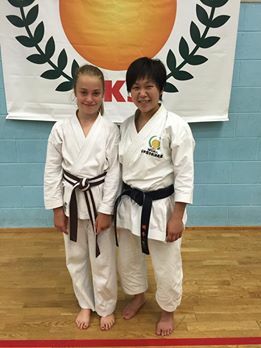 Rebecca had taken her exam under Kagawa Shihan, JKS world chief Instructor back in March this year. Dan grade certificates are issued by the Honbu dojo in Tokyo and sent out to member countries to issue. 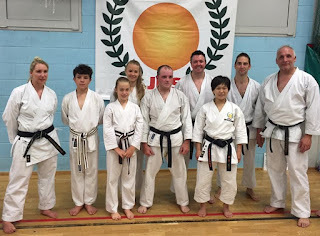 The photo above was taken at the JKS summer course from left to Right : Steve Carless Sensei, Alan Campbell Sensei, Sensei Bex, Okamoto Sensei and Matt Price Sensei. 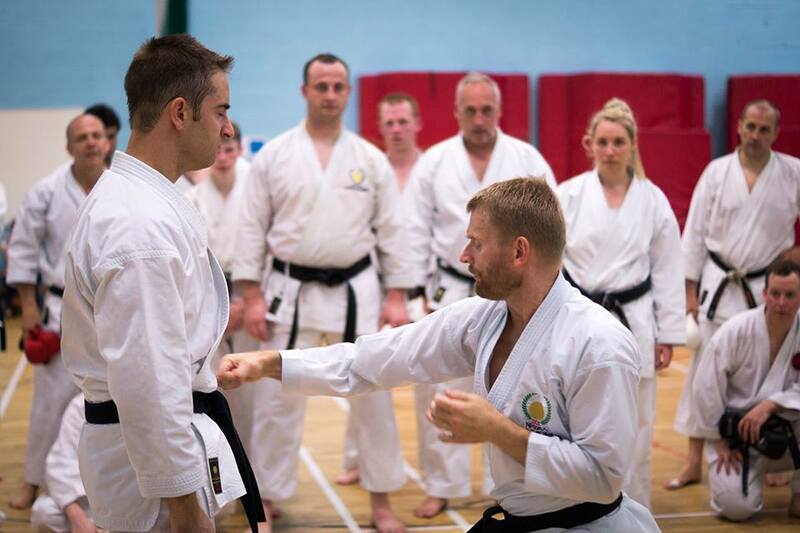 On Sunday 24th members of SSKC said a fond farewell to Sensei Bex who is taking up a secondment in Somerset, for 6 months. Thank you for all your instruction and inspiration over many years at SSKC, hope you can pop in and see us all when ever you are back in Yorkshire. On the weekend of the 23rd and 24th of July, JKS England proudly hosted the all grades annual summer course in Nottingham. An ever increasing attendance meant a record number of students enjoyed two hot days of physically testing and thoughtful instruction. Alan Campbell-Head of JKS England introduced the instructors for the weekend as Matt Price and Steve Carless Sensei, who were to be joined by a very special karate-ka from the JKS Hombu Dojo (headquarters) in Tokyo, Saori Okamoto Sensei. 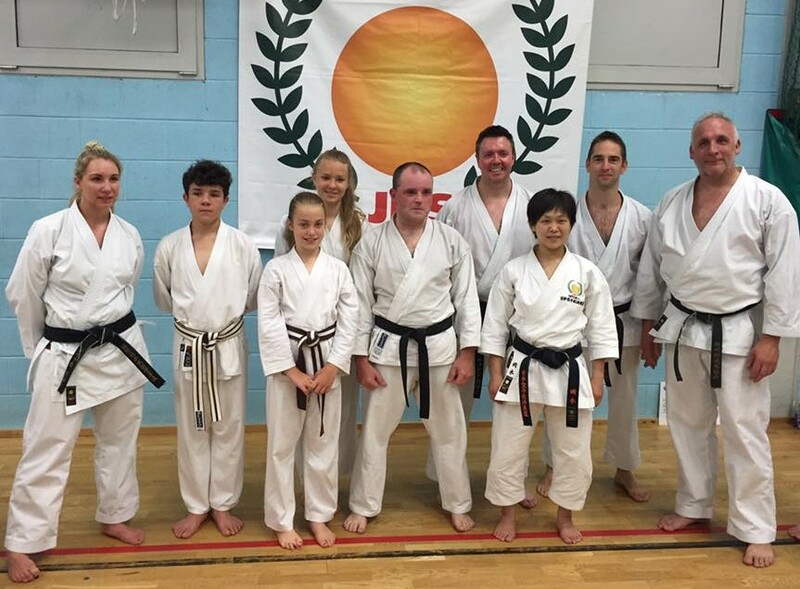 Recently victorious in kata at the 2016 JKS All-Japan Karate Championships, Okamoto Sensei was a very welcome addition to the instruction team. Having had both huge success in her competitive career, as well as gaining the undoubted appreciation of all lucky enough to train with her, Okamoto Sensei was a huge hit with everyone involved right from the start. The course fees were fully funded by SSKC's Member and Instructor funds.